How Do You Know You Have Laryngitis? Laryngitis is a common condition and can be caused by viral or bacterial infections, excessive yelling, and smoke inhalation. When the vocal cords become inflamed, one may experience a dry or sore throat accompanied by a few other similar symptoms. These can all be signs of chronic laryngitis. A chronic case of laryngitis can lead to strains and other serious damage to the vocal cords. What Causes Voice Box Inflammation? There are a number of home remedies you can use to alleviate a case of mild laryngitis. These include the use of a humidifier, gargling salt water, resting your voice, drinking a lot of water, and using throat lozenges or gum to keep your throat moist. Avoid clearing your throat and using decongestants. If you think you may be suffering from chronic laryngitis or simply wish to speed up the recovery process, visit FastMed Urgent Care and allow one of our medical professionals to perform an examination and administer the fast, affordable, and compassionate treatment you need. If you have more health questions, check out our FAQ page. 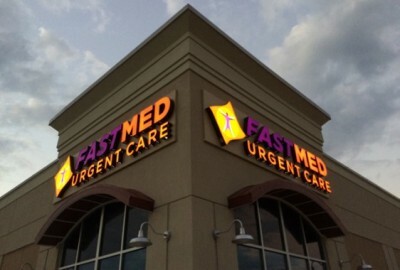 You can also learn more about FastMed in your community by following us on Twitter or liking us on Facebook!